Select from a variety of table styles and sets. Coffee and end or sofa tables are great finishing touches to any living room. Be sure to account for these items in your budget as they add functionality. They also add style by creating pops of color and texture. When choosing the type of table you would like, size may be the most important consideration. Coffee tables should be two-thirds the length of your couch and leave plenty of room to stretch your legs. Sofa or end tables should be equal to or just below the height of sofa arms and a reasonable width to allow for functionality. The shape of a table is very important. People with pets and children should consider round tables because they have smooth edges and are easier to move around. Also, round tables appear to take up less room which is beneficial for smaller living spaces. Square or rectangular pieces offer both extra storage and surface space. 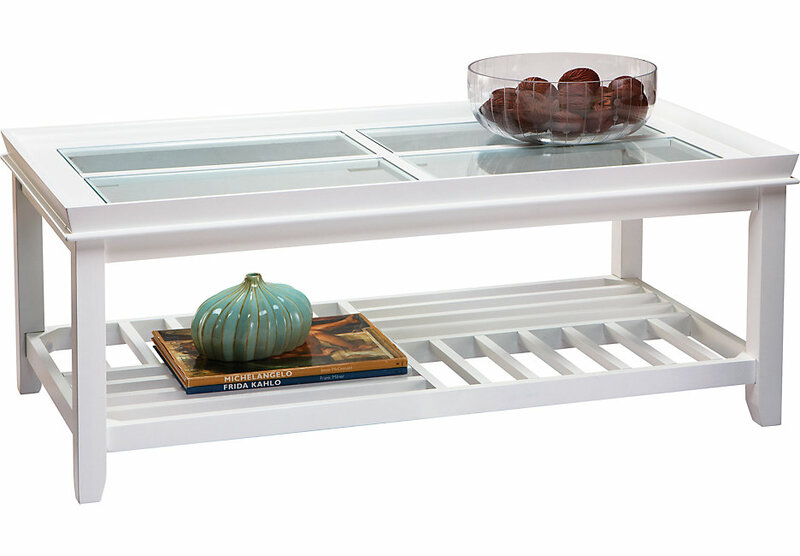 Though wood tables are a classic, buyers can also choose from glass or metal pieces. Glass top tables are a great option for the living room as they do not require coasters and are cleaned easily. They do not interfere with existing colors or styles and do not need to be replaced as room decor changes. Metal is a nice way to mix up a room's texture and adds a nice touch of modernism. Accent tables are just that, an accent. They can be used to pick up subtle colors in carpets, rugs, couches, or wall decor. Since these pieces are small, you can go with bold colors without overwhelming the eye. Living rooms tend to have a neutral color scheme, so choosing a bright accent table is a nice way to break up monotonous furniture sets.